The holiday season can be the perfect time to engage your child in reading and encourage them to become a bookworm. For tips on how you can motivate them to crack a book open, continue reading below. For starters, you should take advantage of the season to get your child interested in reading. 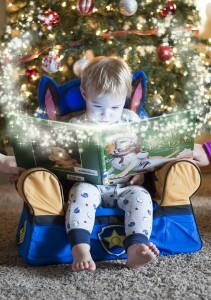 This is because children are often attracted to the magical stories that can take place during the holidays. For instance, there are probably a myriad of different stories relating to Santa Claus, so choose one of them for your child. The holiday season happens throughout the winter months. Fortunately, this can make reading more interesting for your child because they will probably want to snuggle by the fireplace with a hot cup of cocoa. To set the mood further, provide a comfy couch, fluffy pillows, and warm throws to motivate them to sit in there to read. As a last strategy to get your child to read more over the holidays, you can give them books as gifts. This will help them understand how special books can be. For instance, if Santa Claus were to bring them a few books, they'll probably be more compelled to read them. Enroll your child in reading tutoring in Sebring FL to help them become an avid reader. Call The Tutoring Center, Sebring FL at (863) 269-8977 to inquire about their academic programs, or to schedule a free diagnostic assessment.